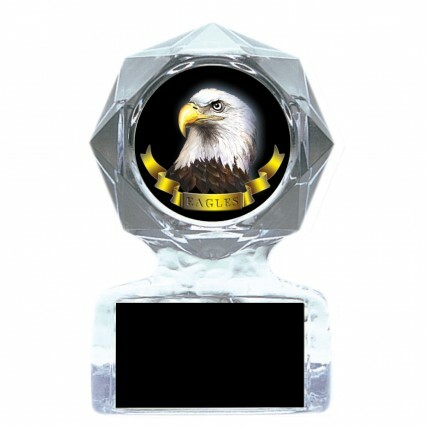 Your favorite eagle will be proud to receive our Eagle Acrylic Mascot Trophy! 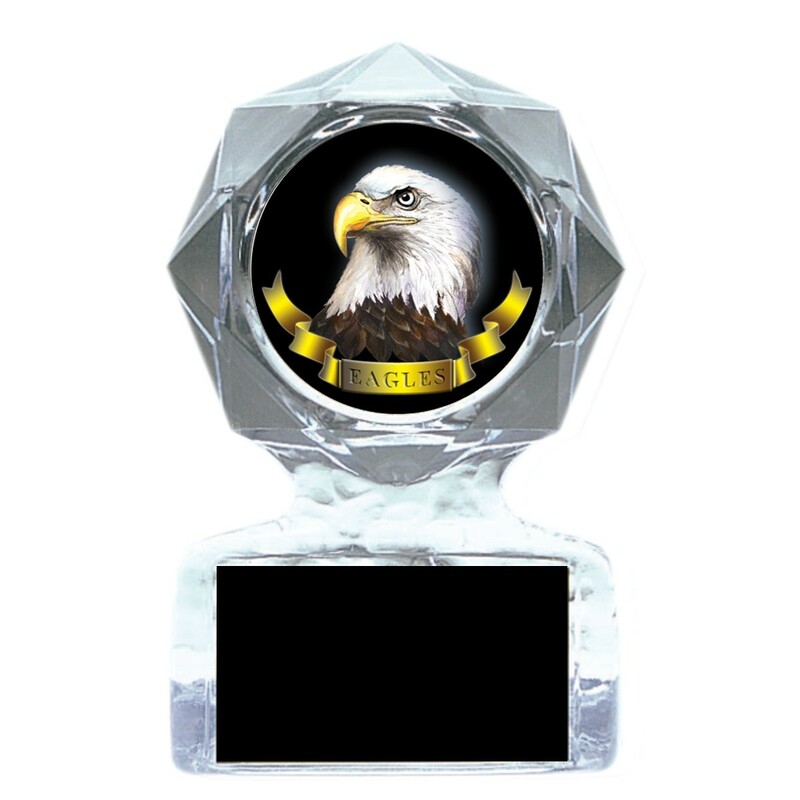 Made of crystal clear acrylic, this trophy features a 2" full-color insert of a eagle. Price includes three lines of engraving.